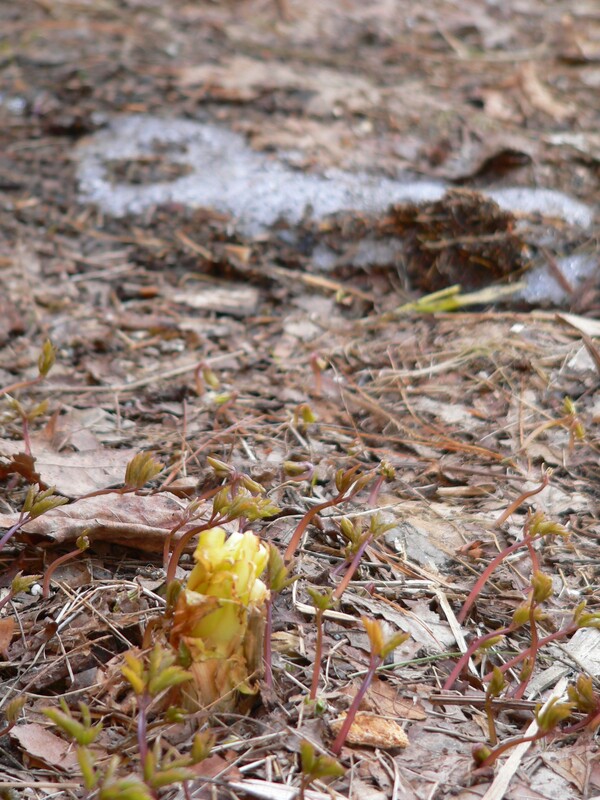 The last of the snow, the first of the green plants...miracle enough. While talking with a neighbor this week, he ( being a Catholic) remarked on the importance of Easter Sunday in his faith. He made the observation of how lucky we are to live in New England where we have a physical, tangible reminder every Easter that resurrection is possible. Last week snow and frozen ground, this week life. Happy Easter and Happy Spring to one and all! Thank you, Roger. I just saw this. It's a beautiful photo and reminder.